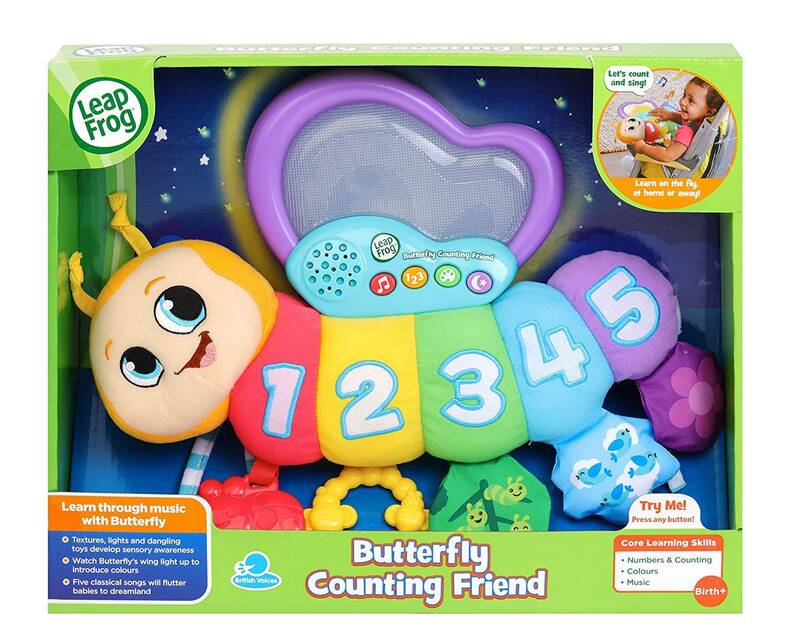 Enjoy a flutter of colour with the Butterfly Counting Friend plush learning toy. 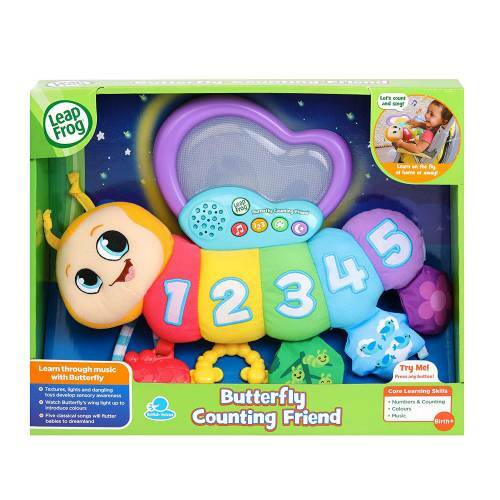 Five colourful number buttons play a variety of songs to teach colours and numbers. A kaleidoscope of colour, Butterfly’s light-up wing shows the colours of the rainbow. She also helps your baby fall asleep with soft, classical melodies. 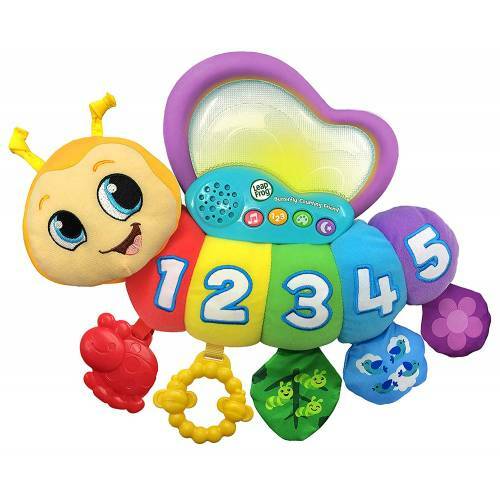 Each segment of this on-the-go toy features a dangling toy that rattles, squeaks, turns or crinkles to help develop fine motor skills. 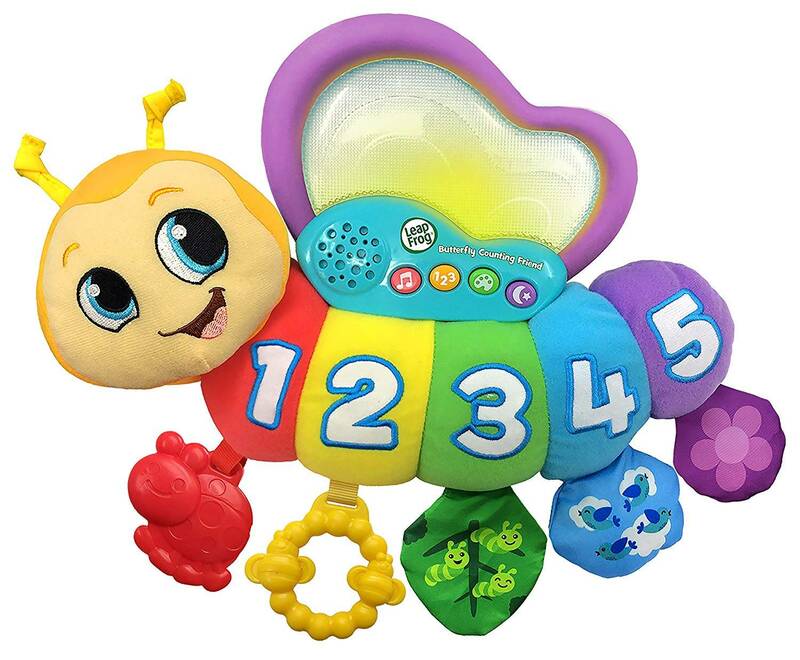 Learn at home or on the go by using the included straps to secure the butterfly to infant carriers and push chairs.